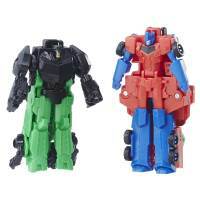 New stock photos of wave 4 Crash Combiners from the Transformers: Robots in Disguise line have surfaced on Amazon with a listed release of April 1, 2018, but currently overpriced at $30.95. The first set of images are of Primelock, featuring Optimus Prime and Grimlock. 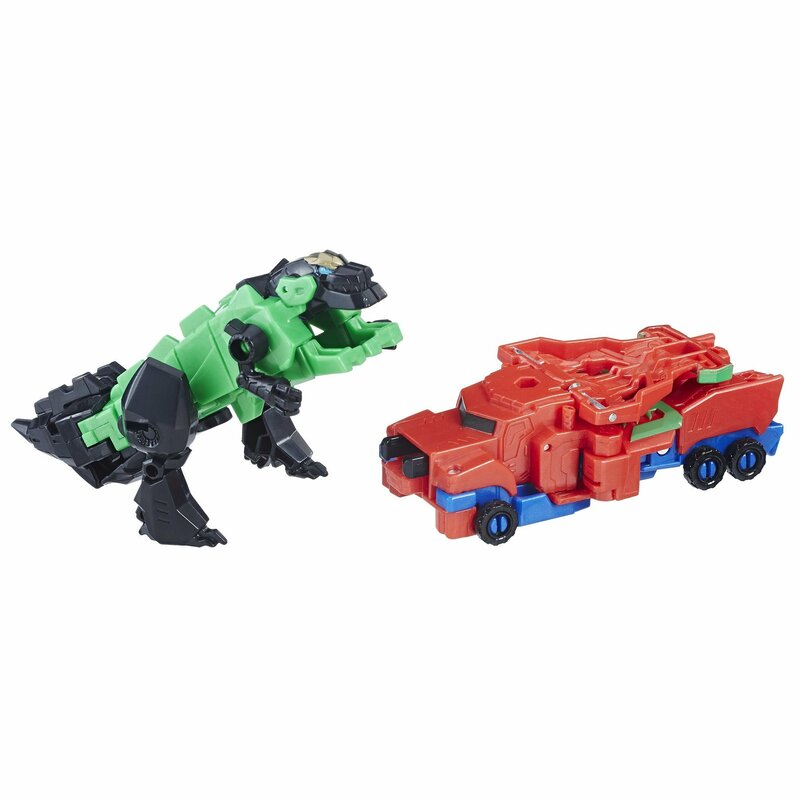 The photos show off how the figures look in robot form, combined form and vehicle (and dinosaur) form, as well as the packaging. The two are able to combine in one, simple step. 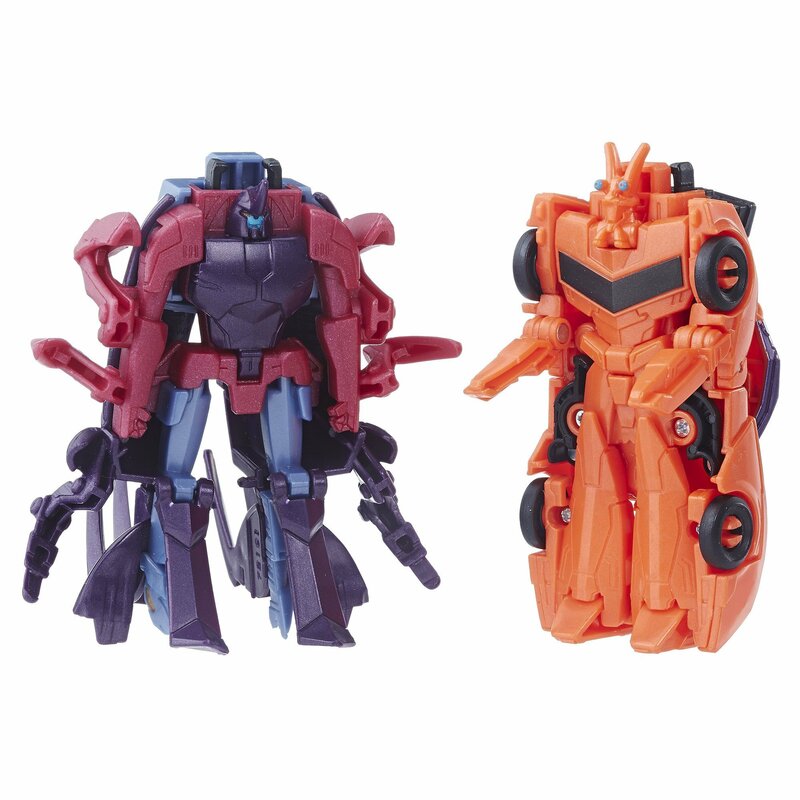 Also remember that all Crash Combiners can be mixed and matched with each other. They can also be scanned to unlock the characters in the app. 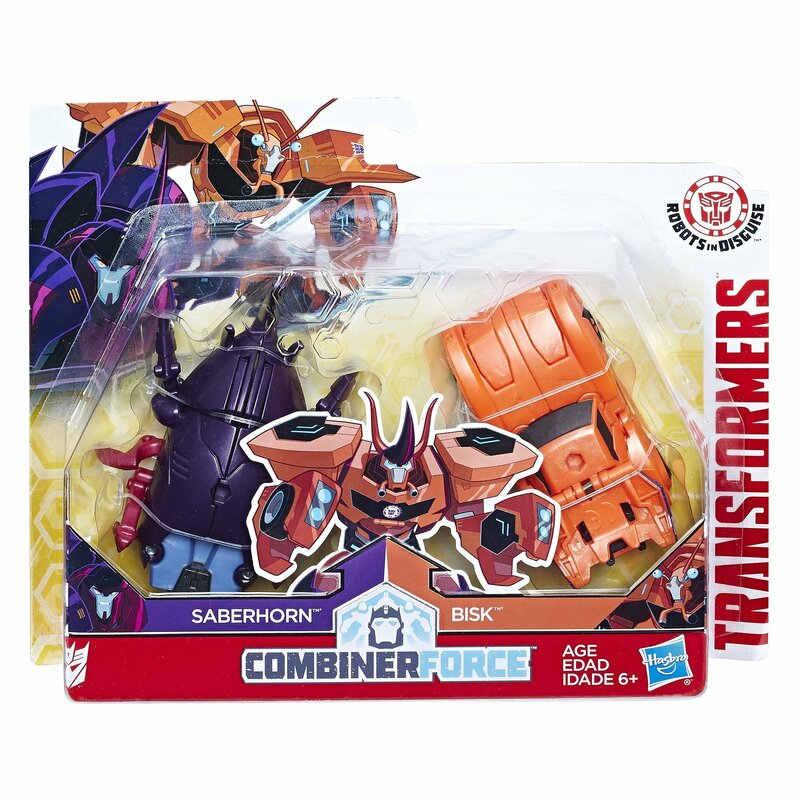 The next set of images are of Saberclaw, featuring Saberhorn and Bisk. These figures are also shown in all forms as well as inside the packaging. Just because you don't like something, doesn't mean it is crap. Personally, I look forward to picking this up and am glad we got ANY figure for Saberhorn. Would I have preferred a Warrior? Sure. They're not great. 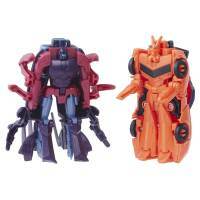 but I still appreciate the crash combiners for what they are and am glad Hasbro tried to find ways to make RiD fun. Saberhorn finally get a toy. Yeah, that's part of the play pattern! The highest Hasbro product code number for an RID figure aside from Prime/Grimlock and Saberhorn/Bisk is C2353 for the Activator Combiners Laserbeak & Soundwave 2-pack, which is followed by the entire The Last Knight line. I don't think so. Both Primes are shirts, Strongarm and Grimlock are the pants. While you can mix and match any shirt-bot with any pants-bot, shirts can't serve as pants and vice versa. Are the connectors incompatible? Cause I thought they were all the same connectors, letting you combine any two. Let me grab my sets… YES, you can definitely combine a couple of torso's (bottom one has to face rear, though). 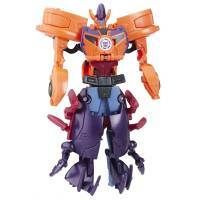 Unless they retooled this Optimus somehow, you can make a creepy monstrosity! 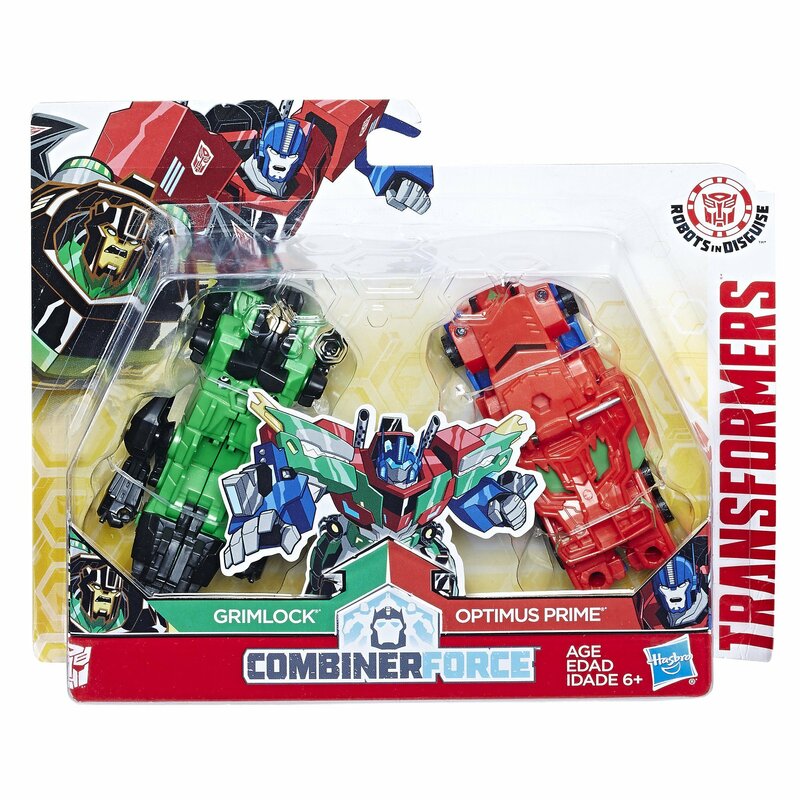 My father in law bought one of the crash combiners for my son because he wanted one. 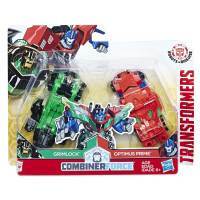 After one hour of playing with it and trying to find something cool about it, the poor crash combiner went into the box of duplicated Happy Meal toys that will be traded at a flea market for something G1 related. Thesee poor excuses for toys actually make one steps look like quality items. They're not great, but they're not McDonald's bad. If you expect G1, I think you need to wait for the repair shop. The one with your time machine? Cause those days are sadly gone. These would be better without the damn springs. 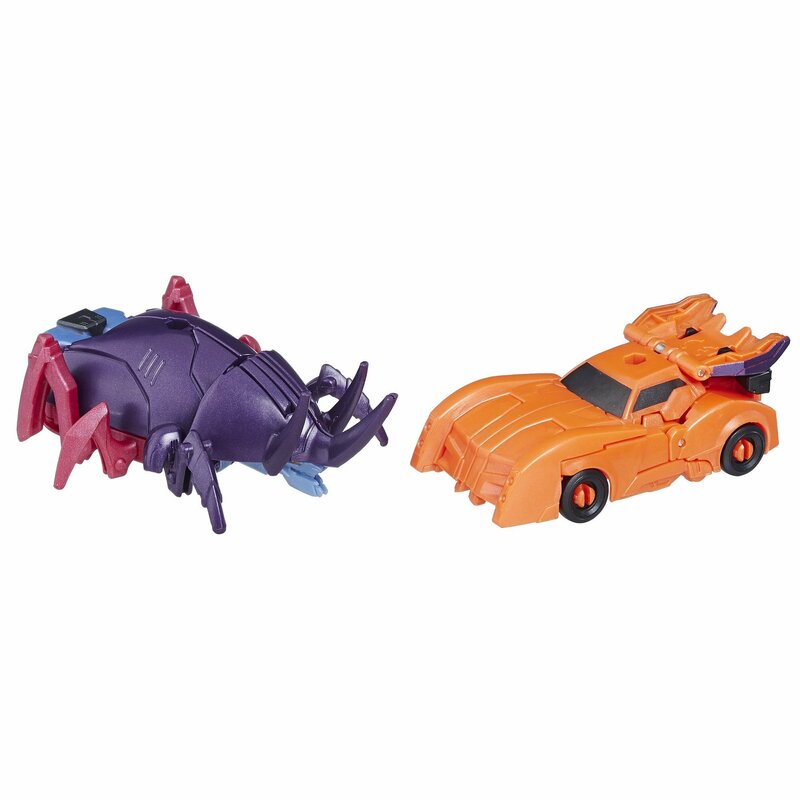 They can misfire on you, making it difficult to keep torso's in vehicle mode! Seriously, I can't complain about the stupid springs enough. 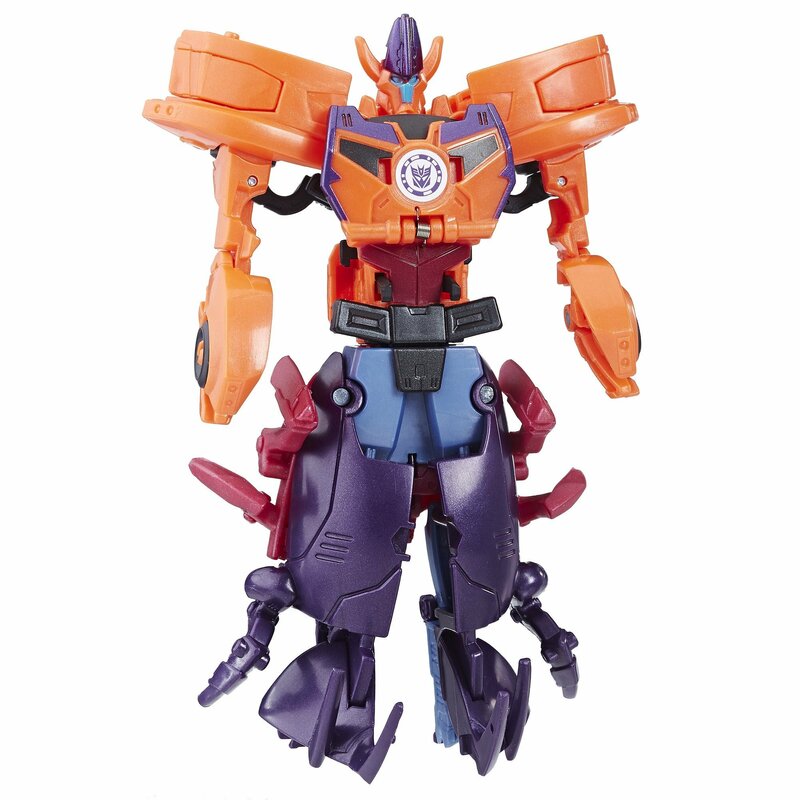 I want to throttle the Hasbro designer who thought this crap was "cool" or engaging. And they cost more money, too, so why not invest in more parts or better paint apps? Ugh. Well, goodbye RiD. Looks like there will not be a Warrior Saberhorn & Shadowraker after all. I never understand the reason to create something what was not in show, but this looks like only way to get Saberhorn. Still there are a lot of Decepticons. A lot of them had reused design. Right now I am missing Clawtrap, Glowstrike, Saberhorn, Shadelock and Chop Shop. I'm just happy to have a Saberhorn… hoping there is like one more surpise wave of Warriors with fan favourite characters, and then this one would become my legion version. But hey I will count my blessings. I like the head on Primelock. 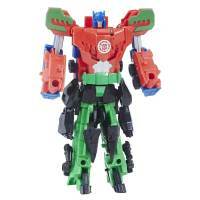 Looks very G1 looking.